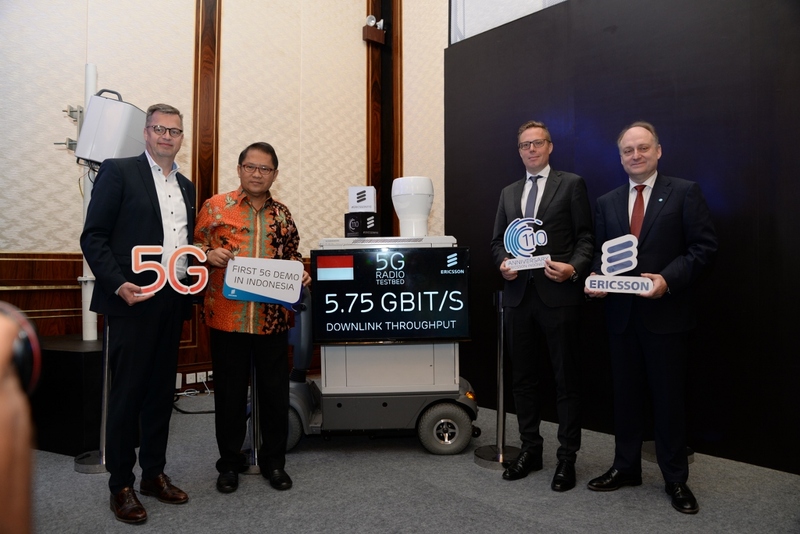 Ericsson (NASDAQ: ERIC) has completed the first demonstration of 5G in Indonesia, including 5G test bed, 5G New Radio (NR) and use cases such as a motion-sensing robotic arm and live 4K video streaming. The demonstration, which took place during a three-day event to celebrate Ericsson's 110th anniversary in Indonesia, achieved a peak downlink speed of 5.74 Gbps and latency as low as 3 ms.
Bapak Rudiantara, Minister of Communications and Information Technology, Republic of Indonesia, says: "The current focus of our ICT development is to accelerate broadband rollout to all regions in Indonesia as well as to create a healthy ICT ecosystem to support the growth of other industries and enable the nation's competitiveness in the global landscape. Accelerating digitalization has always been high on the agenda in Indonesia. In this way, we contribute to realizing the government's NAWACITA vision to address nine key areas and so transform the country. 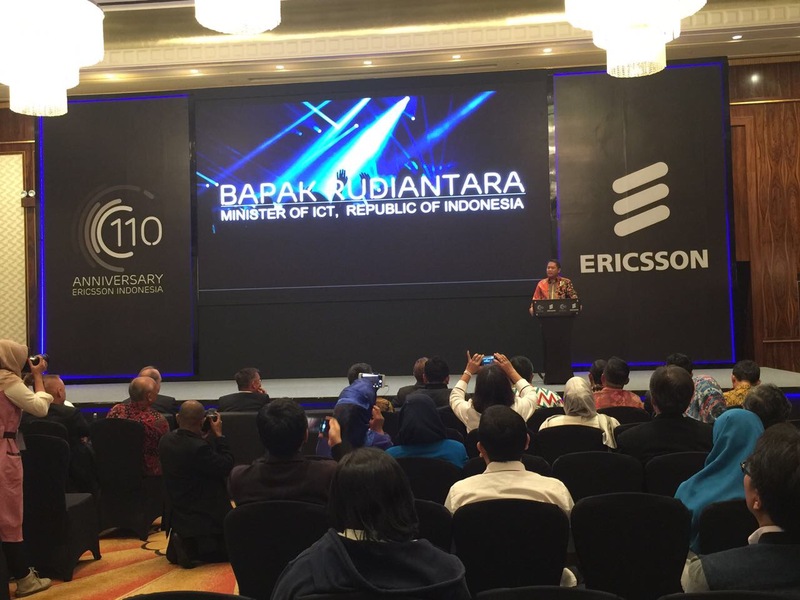 Initiatives such as Ericsson's 5G showcase will power innovations and help transform technology infrastructure in Indonesia, bringing more opportunities to people, business and society." 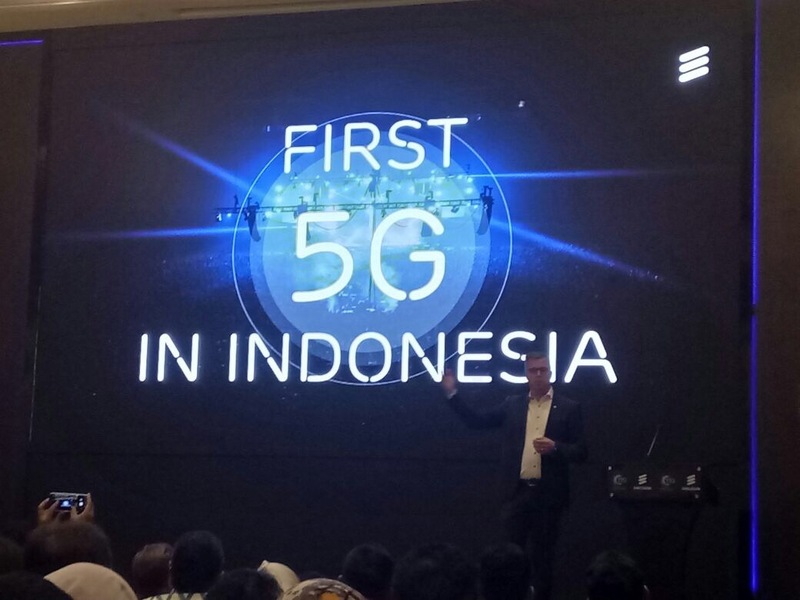 Having pioneered the first four generations of mobile technologies in Indonesia, Ericsson demonstrated its commitment to deploying cutting-edge communications technologies and services locally by becoming the first company to showcase 5G in the country. Thomas Jul, Head of Ericsson Indonesia, says: "For operators, 5G has the potential to offer 34 percent growth in revenues in 2026 compared to 2016 1. Meanwhile, consumers will be able to enjoy new applications like augmented reality and 4K video streaming and industries will benefit from innovative IoT applications such as smart transport and remote healthcare, creating significant opportunities. With 5G expected to be introduced around 2020 globally, Ericsson sees the need to support the government, telecom operators and industries in Indonesia to prepare for the launch of this next-generation technology." Ericsson's 5G test bed includes all functionality required for pre-commercial trials and includes support for features such as beam forming and tracking, multi-user MIMO, multi-site transmission, ultra-lean design and dynamic TDD. The low latency and high reliability of 5G, coupled with intelligence residing in the cloud, will enable enhanced human-to-machine communication. Ericsson demonstrated this in Indonesia with a motion-sensing robot arm that participants could control in real time using hand and finger motions. Such applications could be used in a myriad of tasks, including remote surgery, road accident management and scenarios in which human presence might be unsafe. Other demonstrations during the three-day event included innovations in the areas of radio system evolution, industrialized cloud, connected industries and digital business solutions. Ericsson is leading 5G innovations globally and was first to market with combined core and radio for 5G use cases, accelerating the journey to 5G with today's networks.